Today I received an email letting me know that the completed audio book I narrated and produced was accepted by the rights holder. 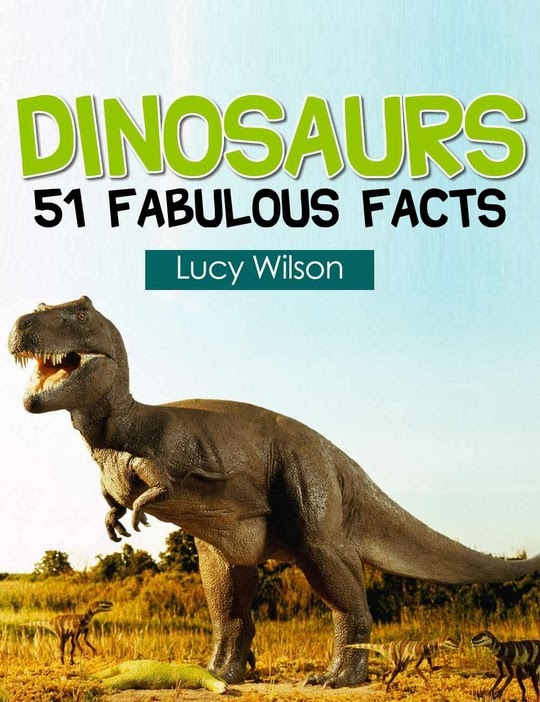 It was really fun to record and it's called "Dinosaurs: 51 Fabulous Facts," by Lucy Wilson. In about three weeks it will hit all the online stores and my name will then be listed as a narrator for two audio books on audible.com, amazon.com, and in iTunes! That is so exciting to me! I previously had the privilege to record the novel "A Life Worth Dreaming About" by Nicholas Dettmann. So now I have one fiction title and one non fiction title under my belt. I absolutely love audio books. I have been avidly listening to them for years and now I'm finally doing it - I'm narrating them! I can't wait to land the next gig and bring someone else's beloved novel to life in people's ears. My goal is to narrate 25 audio books, continue to have a blast and pour my passion into it, and then apply to become and audible approved producer. You can't do that until you've narrated 25 titles for ACX but then you get a special icon next to your profile so people know you're an experienced and approved narrator. I want this to become a thriving career and something I'm posting about all the time. I can't wait to fire up the microphone for the next project! That's awesome! Way to go Dan! Writing and narrating, sounds like a time crunch though. Thanks Tim. You have a point there, it is a time crunch that's for sure. When I'm working on an audiobook everything else has to take a backseat, including writing, but it's something I've always wanted to do and am very passionate about. There are times however like when I'm commuting that I can get some writing done during an audiobook production via speech to text or recording my voice for later transcription. That's not what I want to hear ;). I spent about six hours last night on narration, and only got like 17 minutes of finished audio (give or take for dinner). I get what you mean by other things taking a backseat, but I'd really like to find a way to narrate and write as well. I loved both stories I've narrated, how they become more personal as you act out the characters and get into the flow of the narrative. There are things I can do to streamline my process, like not editing the first draft of recording. I ended up rerecording and that next time through my voice really picked up on the feel much better. I'm looking into ACX and titles I could narrate for. One that interested me has five novels up. I would like to do that, partly for the love, but also to create a budget to start paying for editing and covers, but I'm afraid to do the math on how much time it would take and how little writing I'd get done. It's been a few months since you posted this, how's the narration gig going? Thanks for the comments! I just signed a contract for my seventh audiobook (though most have been more like short stories.) Recently ACX provided a way to search for audiobooks to audition for by length so all of the ones I've been doing have been around an hour or less. That way I know they won't be a huge time sink. The first book I did was over eight hours and I don't even want to know how many hours I spent on that one but it took me a few months. I loved it through. There were many many days in there I did not work on it. The pro narrators always mentioned that it takes them about twice as long to record something as the finished audio is. That isn't very many mistakes. I'm nowhere near that. They also don't have to edit, master, convert, or upload any of their stuff and I have found most of the time is in the editing. Hopefully we'll get there someday. Something that has helped me is using a dog training clicker and I click it every time I make a mistake. It is very easy to see all of those places immediately in the waveform and jump right to them and delete them. I just started doing this and I think it is saving me a ton of editing time. I've also tried stopping every time I make a mistake, deleting it and then re-recording from there, but it kind of messes up your flow but then again you get used to it. It takes way longer to record but you have way less audio to listen back through to edit later. For now I think I'm going to use the clicker, because it doesn't mess up your flow and it's very easy to delete all of your mistakes quickly. Try these techniques instead of just hitting record and going to town until you're done. Hopefully they'll cut down on your production time. That's what I used to do and I was left with hours and hours of audio to edit which took forever. The current book I'm doing is only like 10 minutes. I have no idea if there's a market for that, but I'm just trying to get 25 titles under my belt to become an audible approved narrator and then hopefully I can start getting regular gigs that pay more or sell better for royalty pay deals. My audio program is not easy to edit, so I just record it all and go through edits. My plan to read a practice run should cut down on editing time, and I look forward to less mistakes as I practice. What kind of payments are reasonable? Hourly rates what's good for newbies? What do you look for? I'm not sure what to say about payments. I think the pros get $200 per finished hour and above. I think the reason I landed my first full-length novel audiobook narration gig was that I listed myself as $0-$50 per finished hour. It was cool to get almost $400 at the end of it but if you calculated the time I spent producing it I was actually getting paid way less than minimum wage :) now I list myself as $50-$100. I have also been doing royalty pay but only when the project is an hour or less finished. I just couldn't spend that much time doing like an eight hour audiobook for royalty pay unless it was a big name author.